We are sitting on the fence between seasons. pale oak leaves tenaciously hanging onto the trees. frost, sleet, and big, showy flakes. Lovely captures of sparkles on those leaves. Your leaves are getting very much darker compared to last week. I wonder how they would be like next week. Even a darker tone or totally white? 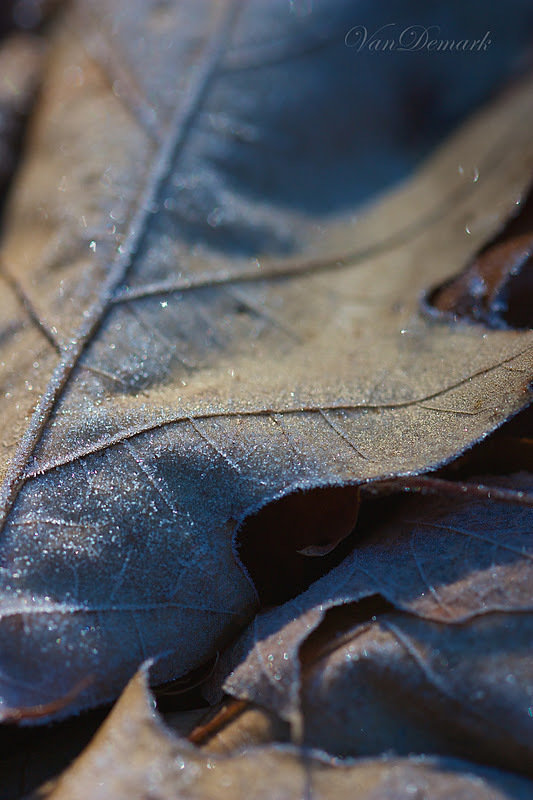 looks like the leaves have been encrusted with sugar, or silver light. beautiful! 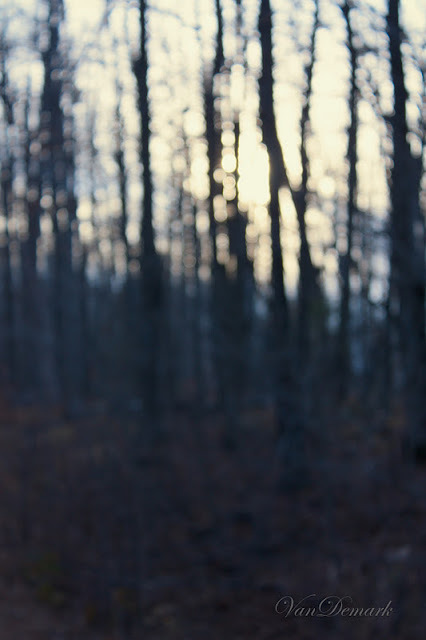 love that last moody shot -- dark and light at the same time. Love the concept of fence-sitting. It's so exactly true - where we are. Somewhere in between the colors of autumn and the whites of winter still to come! Wonderful post! Autumn is somewhat "hanging on for dear life" here too. Not much longer I am sure. These are beautiful photographs Anna. I love the frost detail you have captured, and the light is just beautiful. Fantastic frosty leaves. Wonderful work. Lovely composition. Have a nice new week, Anna. You do frost beautifully. We do get frost here a few times during the winter so I'm going to keep your shots in mind when that happens. I love how you've captured that beautiful frost. Anna, these photos are so fantastic! I love all the details and though I don't love the cold coming with frost ;-) I do love what I see in your photos! These are beautifully photographed fall vignettes! Fence-sitting here too, at a balmy 70 degrees. ... successful frost photos ... very nice ..
Beautiful photos. 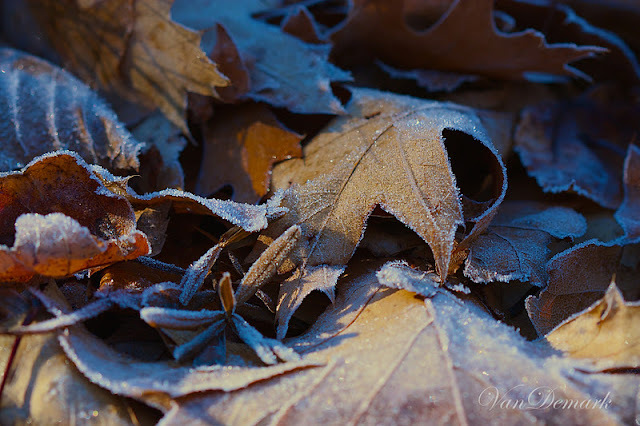 The frosty blue color is lovely on the leaves. Very lovely, Anna. 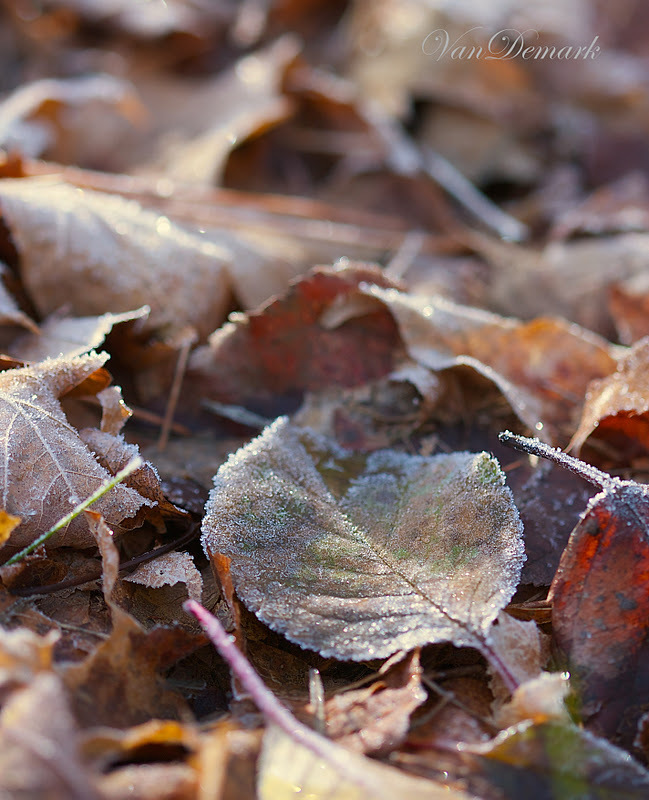 Frost makes the dried leaves look so beautiful! Such a lovely tribute to late autumn! The frost on the leaves is magical. Makes me wish we got frost here. Your photos are so beautiful in an elegant way. 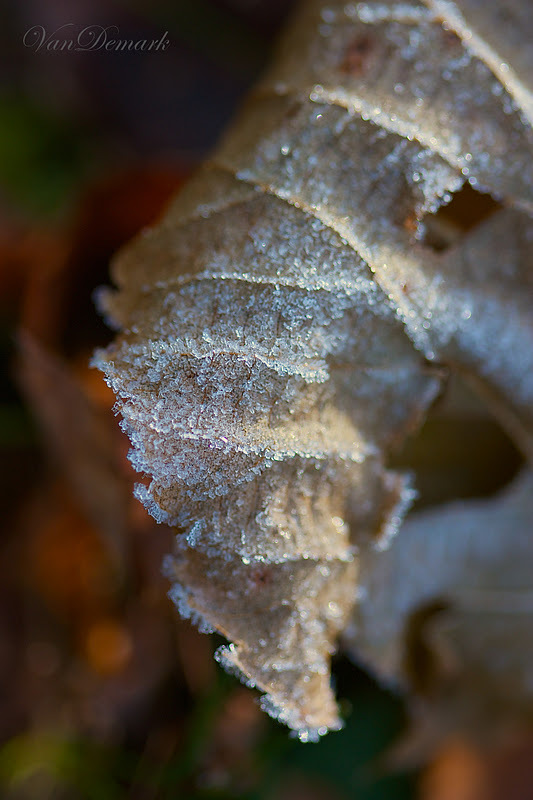 We don't get much frost out here, but when we do, I'm transfixed at the way it glitters when the sun touches it! Thanks for bringing us beauty. Thanks for visiting my blog. I adore your photographs of the leaves with frost. Gorgeous details of the frost glistening upon the leaves. Beautiful series. Great work. Have a great week to you. Lovely, lovely photos. Frost always makes the most mundane object sparkle. The detail in your shots is fabulous. We are straddling the same seasons here. The signs are all over. Grey skies, branches exposed, ice crystals peek-a-booing in the early morning hours. I like the way the light is gracing your images. It's the very essence of morning. In many ways this is my favorite time of year....sitting on the fence:) I love that we had snow one week and then a week later there were some (not me!) swimming in the ocean! These are absolutely beautiful images of this time of year. Enjoy your week! you capture the loveliest shades of light in your photos. it's always a treat to visit you and see your splendid. 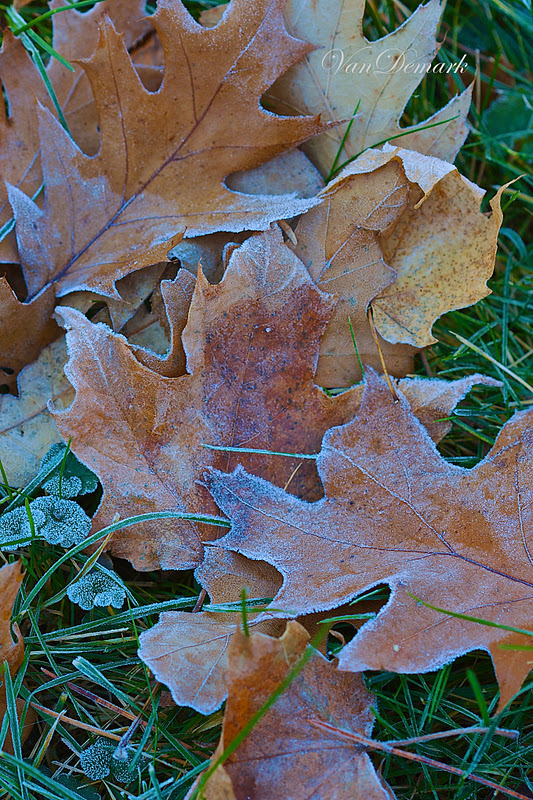 the frosty oak leaves are delicious. I love the bronze colors that linger in the oaks and even prefer them I think to the wilds of the reds. autumn is slowly fading but winter's beauty awaits. happy week to you Anna. and a thank you for your continued encouragement and support. Such stunning images, as always, Anna, and I love your beautiful words and analogy. Dear anna these are stunning images..dreaming images! thanks for sharing them whit us! Wow, you can see every droplet of frost-so amazing! And I love your new header. 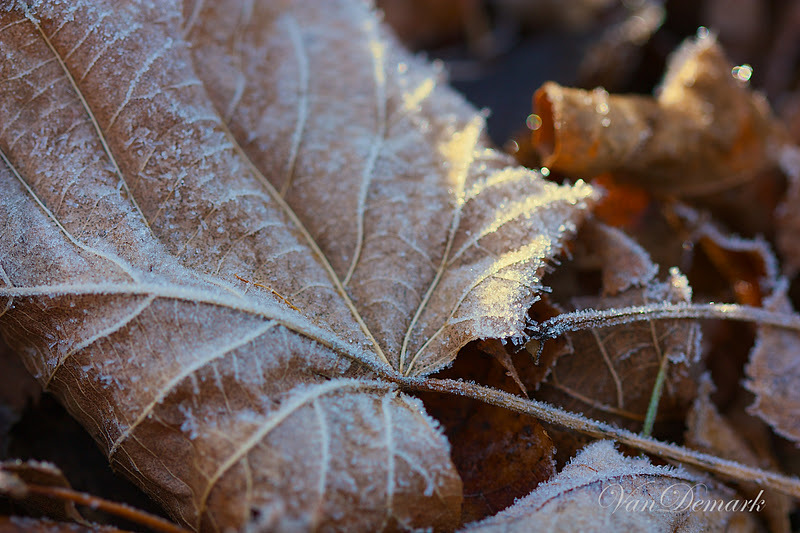 Oh so in love with these frosty leaf images.pure beauty. Thanks for stopping by Anna.